Mere looking at this mechanical keyboard, it has great advantage that some normal keyboard doesn't have like a long, satisfying key travel, thanks to individually-manufactured switch mechanisms for this great pick. You might want to change your previous keyboard to a better one so you can have easy typing but you don't know how to go about it. That is why today, i will be showing you some fantastic keyboard that makes your work look professional. Below are the list of the best mechanical keyboard that you are waiting for, beneath every keyboard list you can find where to order yours and get it at your doorstep in few hours You can check out the keyboard below that suit you and your budget then read more on them to get full knowledge on how they operate. 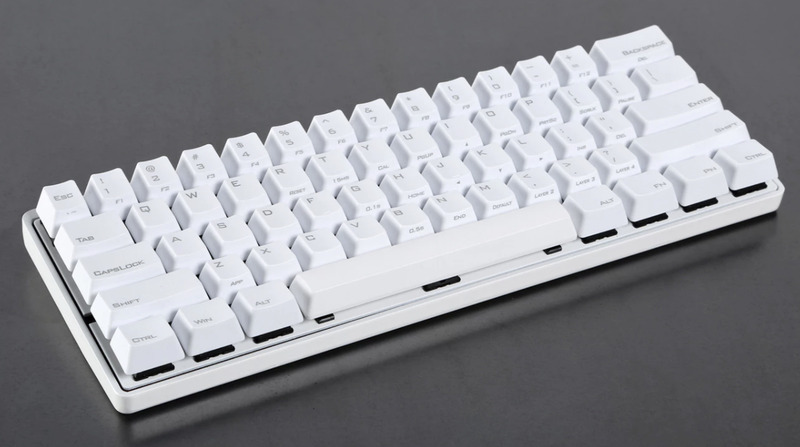 The Coooler Master named their own mechanical keyboard as "MasterKeys" which has different features, you can make use of this anywhere in your environment. Unlike some alternatives, like I said earlier that masterkey has different features such as Cherry MX switches, this Cherry MX switches indicate different sign functions in different field, like the red which is for the for gamers, the brown for typists while blue for loud typists. The masterkey has different sizes and different models to suit your budget in which you can choose your own choice but we will be taking a look at one of it which is probably the best model. The TOP-OF-LINE $150 MK750 model: This features an aluminum case and a Type-C USB connection, If you take your time to look into this keyboard, you will notice that there is no much different between this and Masterkey S, the masterkey S is also programmable with macros and custom functions like the $150 MK750 model with the help of the desktop software. The Masterkeys line don't really give stress like adding useless addtons unlike the other mechanical keyboard that dominate other major retail brands. On a normal ground, this Masterkey line does a great job because no matter which model you use , it gives a solid typing and awesome gaming. 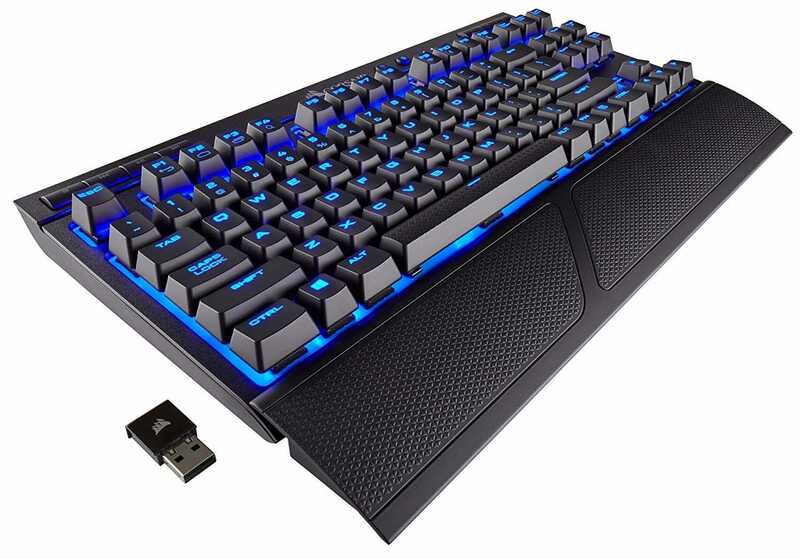 This keyboard is the best compact board and you can get this keyboard as low as $130. This keyboard as genuine key function, it display an awesome design, its function row, number pad and it arrow keys also look gorgeous. if you make a thorough research, you will find out that the Vortex Poker series is one of the most common 50% - 70% models because for a keyboard to range this percentage, it must have a unique features and compared to others in different ways. Because the programming option of this keyboard is genuine likewise its layout and switches, people who travel a lot and want their keyboard with them make use of this often, though if you take a look at some keyboards, you will find some related to it but you can not easily find a keyboard exactly like it because it genuine and also easier to use. You can shift/adjust the dip switches below the aluminum case easily. for instance, switching to a DVORAK layout or setting function key with Caps lock. This keyboard is the best wireless mechanical board and you can get this as low as $100, to be frank, out of 100% typist and keyboard users, 95% love wireless mechanical keyboard, if you come asking me for the best wireless keyboard to use, I will redirect you to Corsair K63 because it's the best and its model is from a popular and reliable brand. 1. Bluetooth 4.2 connection for the mobile typists. 2. Speedy 2.4GHz wireless dongle: if you don't want anything lie pairing, this is for you. 3. Strong backup USB connection: this helps when the battery is low. This keyboard the best budget mechanical board that suit people that can't afford the other ones and you can get this as low as $40. This Qisan Magicforce is better for beginners who just want to start using mechanical keyboard because it does not consume much money. Unlike the Pok3r which is $130, this magicforce is very low as $40 and has a compatible layout which as arrow keys. It's board doesn't come with any lighting and programming but come with switches known as the Cherry clones, it offers a blue and brown varieties and it case uses aluminum plate. It has USB cable which is detachable with a compatible and standard keycaps, all these makes the design look more attractive. Click here to order for your own Qisan Magicforce. 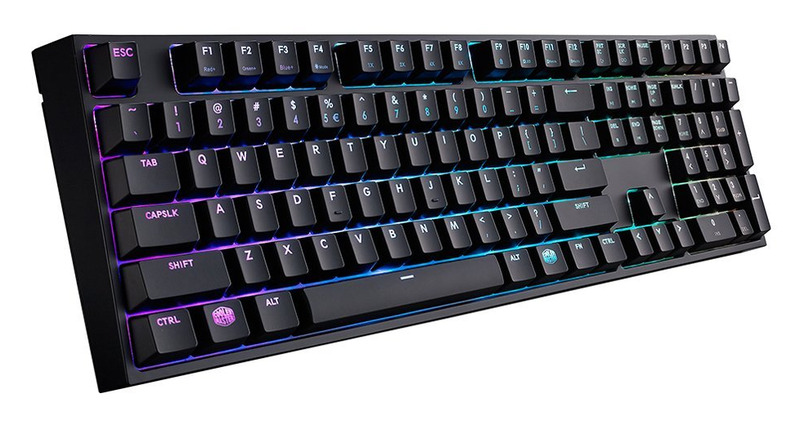 This Glorious GMMK keyboard is the best Enthusiast Starter mechanical board and you can get this as low as $125. You won't believe what this keyboard can offer, it comes with a cherry-style switches which can also be replaced due to it design and it also make your keyboard get customized. This glorious keyboard of a thing goes viral. Due to my observation, their is a glorious modular that support this Glorious GMMK itself so everything done on it can be perfect. This comes with a WASD keys, There are some cases whereby you might want to mix and match the switches along with the board, you can do that normally but your WASD keys and Cap Lock get rigid, by so doing, the corresponding switches can be swap/replaced easily. The shocking part about this keyboard is that if you swap out anything there, it doesn't really matter for you soldering that particular place unlike some keyboards. For gamers, the glorious PC has its own official website where buyer can choose different Gateron and Kailh switch types, full size or compact keyless layout, and pre-assembled boards with lower amount.